Chris was very courteous and thorough. He kept me informed about what he was doing and why he was doing it. Very professional. Chris was very thorough in checking our air conditioning units and ducting. He showed us pictures of the areas and units that were deteriorating and may need to be repaired or replaced at some future time. He was upfront and honest in his assessment and did not pressure us in purchasing new units but let us know that they were old units and should be replaced soon. This is Chris' second visit to our home and we have been very pleased with him. Wolfgang's is the best. Chris Brock is so knowledgeable and explains everything in great detail. 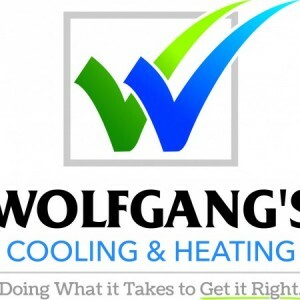 Wolfgang's is the Mercedes Benz of A/C companies! Mike Stout came out to our house on a Saturday morning to see why water was coming out of the secondary pan. Mike analyzed the problem and explained in detail what the issue was. I felt very comfortable that he is knowledgeable and communicated with me so I totally understood what the issue was. He took corrective measures and we are moving forward. This is the best A/C company I have found and we'll recommend them to anybody who needs a fair, honest and competent company that are experts in their field. I'd give 6 stars if I could!!! Very happy with Chris B and Wolfgang Cooling/Heating. His recommendations were very clear, and look forward to working with them on AC maintenance through the year. Chris was awesome,,, fast, efficient, thorough. Excellent personality as well. Highly recommend !!!!! I figured out how to post it already, but here you go just in case: Monty serviced my A/C today. He was on time, and very friendly (my dogs sure loved him!). I also really appreciate that he took the time to explain the thermostat to me because I had quite a few questions. Lastly, he also took the time to now only show me how, but he also helped me change the position of the vents in my room so that not as much hot air was blowing in. Stand up guy; he did a great job. 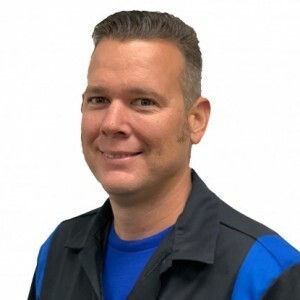 Our technician, Matt, arrived early, was extremely polite and pleasant and took care of our maintenance quickly. Appreciated the great service. 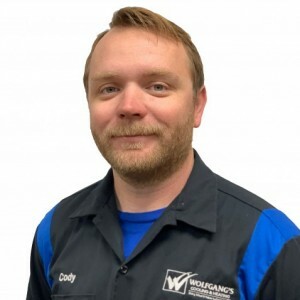 Chris B. serviced my A/C & Heating Unit on 2/16/18. He arrived on time, was extremely professional and courteous in allowing me to move my three dogs outside so he could check the thermostat and then switch the dogs to the inside, so he could perform the preventative maintenance on the unit. Great attitude and enjoyed the interaction with a well-informed employee. Keep up the good work Chris B. As always, Chris arrived on time as scheduled. 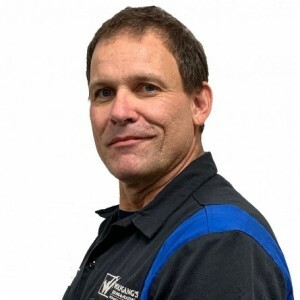 He is a true professional, kind and we trust his advise and guidance on our equipment and services. Thank you and keep up the good work! Monty was on time and completed the work in a very professional manner. Monty is always prompt, courteous and thorough. The Wolfgang Techs have always been easy to have in for my biannual HVAC checkups. I bought my Trane from them six years ago and have had no issues. 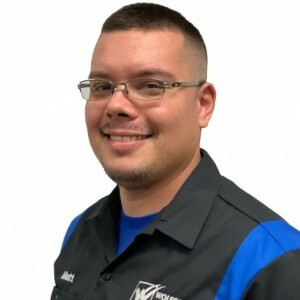 The service technicians who replaced my air conditioning unit, Jerry and Phoenix, were very professional and very respectful of the house and household. They cleaned up the areas where they worked as if they had never been there. Jerry explained things thoroughly when I had questions and made sure I understood how to register the warranty on the equipment. I would definitely recommend Wolfgang’s for A/C service, repair and replacement. Matt is diligent, efficient, and a very good communicator. He performed his duties in excellent fashion and was a pleasure to deal with. My wife and I look forward to his next visit. 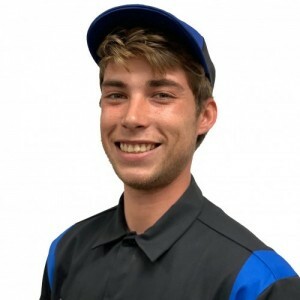 Matt was very professional, very helpful and quickly determined the problem was electrical. Thus saving time and money! I would recommend highly!